Unless you have come across one before, the words ‘Data Management Platform’ are vague and don’t tell you a whole lot. I know it didn’t give me much information – until I deconstructed it. The Data Management Platform (DMP) conversation kicked off properly in Spring 2016, after Forrester predicted that the market will see ‘robust’ growth – an increase of 43% YOY* from 2015-2021 (Forrester). Then the Salesforce Ecosystem got swept into the hype, with the $700mil acquisition of Krux in October of the same year – which since then has been rebranded as Salesforce DMP and worked into the Salesforce platform fabric. Compile and organise the data (aggregation) – basically, a data warehouse. Analyse this data alongside your organisation’s data (internal sources), and segment if required. Come to a conclusion – either: outlining business actions for people, or intelligent automated action. Examples of Big Data that can be handled by DMPs are: consumption data from connected devices (IoT), audience data from multiple channels, app usage data, GPS-derived location data… & many more emerging data sources. So, that’s what they do high-level. Organisations make considerable investments into a DMP – yes, they’re not a cheap piece of kit. The investment opens up the floodgates for conversations on added value and ROI. What can they achieve for the business? Here’s three ways DMPs are invaluable. Everyone looked at the print and billboard industry with pity during the demise of mass broadcast marketing. People will be doing the same to siloed digital advertising one day. When marketers ‘buy’ their digital advertising space, isn’t better to allocate your budget to where it will be seen, specific to each individual? This is called programmatic media buying, which leverages those data sources to place adverts where the prospect is likely to be next – whether that’s on Twitter, SMS or within an App. By 2021, 70% of media will be bought in this way (Gartner), so better not lose out! The best DMPs can fulfil your desire for seamless cross-channel communication with your prospective and existing customers. How? Because they come to the table with the ability to integrate with many 3rd party systems, such as CRMs, Social Media platforms or IoT platforms. This ready-to-go connectivity will supercharge your system architecture and ensure the right data is being aggregated and the right message relayed for actioning. Organisations with a siloed data flow will appear incompetent in the future. We are in a reality where the responsibility of customer acquisition is far beyond the confines of the Marketing team. In organisations where Marketing is insistent on hoarding the customer acquisition and retention data from the rest of your company, people will be making risky, uninformed choices without the benefits of data-derived insights. And we’re no longer referring to insights as flat as ‘customer satisfaction’ or ‘renewals’. We’re looking at more meaningful, granular details such as app usage or electricity consumption (eg. a connected device). The demands of innovation and competition force us to share (externally-derived) customer intelligence, or the organisation dies. What better way to maximise ROI than to make it relevant for other teams, such as Product Development or Account Management, two teams that need to frequently reiterate their approach to customers. “Data Management is the differentiator for customer-obsessed brands” Forrester. Clearly there is ROI up for grabs with DMPs. However, would you say that the companies that we are working in ready for them? It’s a tricky trade-off, and one that we will have to evaluate against how impactful hyper-targeted ads are cross-channel communication, and whether DMPs can benefit multiple teams in your organisation. These are the 3 main ways you will see that investment pay for itself over time. 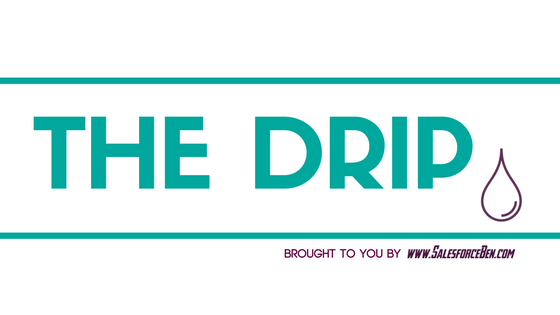 Join the list to receive all the latest from The DRIP. Once you click \'Subscribe\' you will be asked to confirm your opt-in.